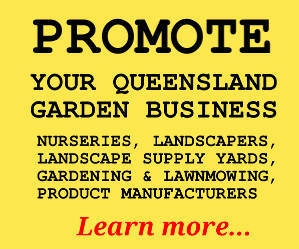 This page is intended to let the residents of Queensland know about businesses offering arborists' (arbourists)' services in this state, including: tree surgeons and tree surgery, lopping (tree loppers), tree felling and removals, pruning, canopy thinning, stump grinding, hedge trimming, tree disease diagnosis and treatment, consultants offering reports on heritage value or dangerous state of trees or general tree health. Also, root cutting or installation of root barriers. Statewide Tree Management provides safe and professional tree services including expert crown thinning, hedge trimming, removal of palm fronds & fruit as well as complete tree removal. Our stump grinder is able to access most hard-to-reach places. Afterwards, the area can be turfed or landscaped by us, or mulch applied to all your garden beds. Worried about a dangerous tree? Call anytime for emergency assistance, including removal of fallen trees and post-storm cleanup of debris. Advice on problem trees and general tree care also available. If you're involved in providing arborist services in Brisbane, Gold Coast, Sunshine Coast, Caboolture Shire, Moreton Shire (Pine Rivers, Redcliffe), Redland Shire (Redlands), Ipswich, Logan City, or any other part of Qld, please click here: Information for advertisers. Please Note: Some of the specific information published on interstate/international websites concerning tree treatments, arboriculture licensing requirements and so on might not apply to Queensland or the trees commonly grown here. Consult a relevant local authority or a qualified arborist for more detailed information as it applies to your situation. Abiotic Diseases of Woody Ornamentals (Covers problems such as lightning strike, drought, hail damage, pollution and others) National Science Foundation Center for Integrated Pest Management, USA. A number of trees removed from Flinders St Mall will be replanted in Reid Park, providing shade on the spectator mounds. The redeveloped Flinders St will retain some of the existing trees in addition to new trees. Source: Mall trees to provide shade at Reid Park (March 2010). Some trees on the Redcliffe peninsula presenting safety and maintenance problems will be removed by Energex. Where possible, they will be replaced by more appropriate alternatives. Source: Energex to replace problem trees (PDF) (April 2009).